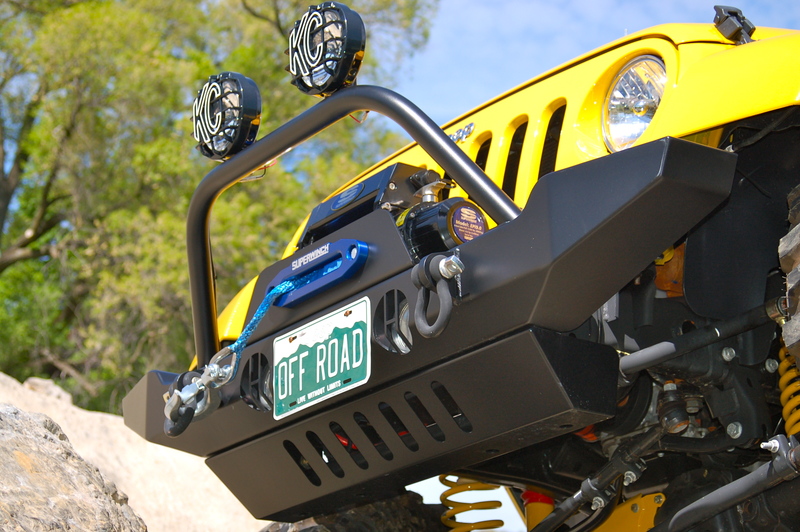 All 2007-Present JK models with HyLine 400.100 Series front bumpers only. The Air Dam Skid Plate replaces the flimsy plastic factory air dam. It not only adds a nice finished look to the Hyline JK Front Bumpers (400.100.100, 400.100.110, 400.100.120 & 400.100.130), but also serves as a skid plate to protect low hanging frame bar. Our Air Dam Skid Plate is completely bolt on with no drilling or other modification necessary. Unlike other aftermarket air dam product designs our are made using thick 10 Ga. (.135”) steel with welded and ground end caps, again for a more finished look and added strength. As with all of our JK products the Air Dam Skid Plates are finished with protective E-Coating and lightly textured black semi gloss powder coat. 1 air dam skid plate and all required mounting hardware.